Visit the spectacular Amazon Jungle on this 3-day adventure from Iquitos! Cruise along the Amazon River both during the day and at night and see native animals from the water, including monkeys and exotic birds. 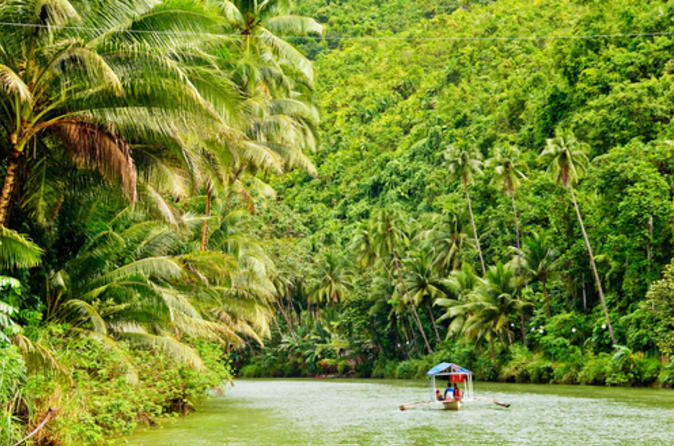 Hike through the jungle, visit a sugarcane distillery, and be amazed at the impressive jungle landscape. With all your meals included plus two nights’ accommodation at the Heliconia Lodge with round-trip airport transportation, this once-in-a-lifetime experience is one you won't want to miss! Explore the magnificent Amazon on this 3-day adventure from Iquitos! This all-inclusive 3-day tour is a once-in-a-lifetime opportunity to see the amazing landscape and wildlife of the Amazon Rainforest. 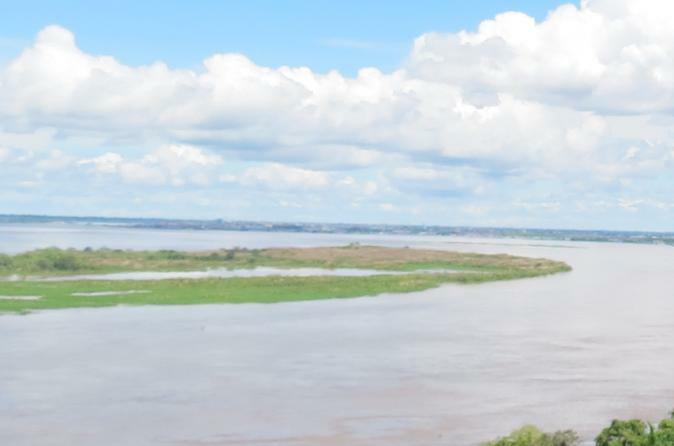 Visit a riverside community to see how locals live, and learn about their customs and culture. 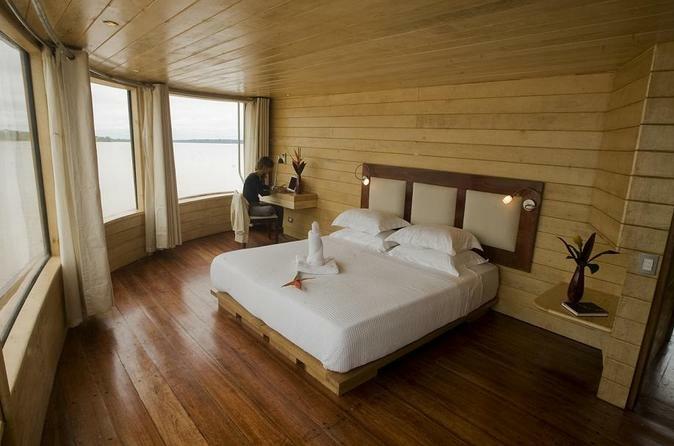 Take a boat ride to the Sinchicuy Lodge, where you'll spend two nights sleeping with the sounds of the jungle. If you're looking for a unique and fun experience, this is the perfect 3-day tour for you! This river tour includes a visit to the main nearby attractions in Iquitos, Peru. You will navigate through the Amazon River, one of the greatest natural wonders of the world. You can observe and interact with some of the species of flora and fauna best known of the Amazon rainforest: monkeys, turtles, caimans, piranhas and a jaguar. Observing river dolphins is possible on the Meeting of the Waters of the Amazon and Nanay Rivers. You will visit only formal places that take care of and heal captive wildlife. 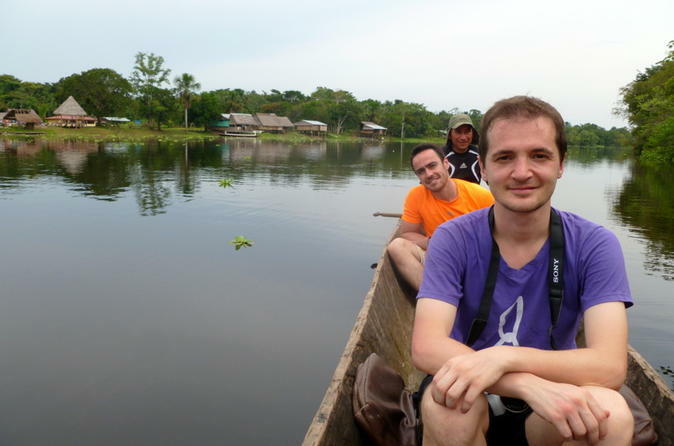 Take part in this 3-Day trip to the Amazon, taking place 220 kilometers up the river from Iquitos. Primary Rainforest, Pacaya Samiria National Reserve in Iquitos. Embark on the journey of a lifetime and cruise deep into the heart of the Peruvian Amazon aboard the luxurious Delfin II. 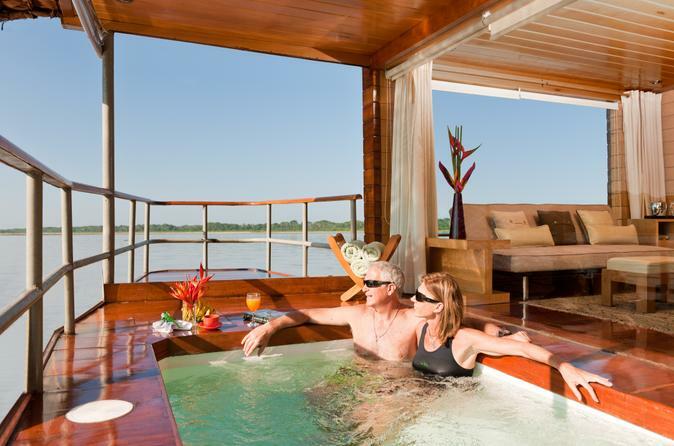 Your four-day all-inclusive Amazon River cruise is packed with comfort, relaxation and adventure. Book now for this unique opportunity to see the best of this amazing region, including wildlife encounters and a visit to the Pacaya Samiria Reserve, a 5 -million-acre (2-million-hectare) piece of rainforest just waiting to be discovered. Discover the Amazon Rainforest on this exciting multi-day adventure from Iquitos! Cruise into the heart of the Peruvian Amazon aboard a luxurious riverboat for a four-day, all-inclusive tour that combines adventure and fun with relaxation and luxury. This unique opportunity allows you to get up close to the native wildlife of the world-famous Amazon Rainforest. Join this 5-day expedition to the Pacaya-Samiria National Reserve in Iquitos, Amazon river, Peru. The Pacaya-Samiria National Reserve is abundant and surpasses all the senses, from the lagoons to the incredible variety of wildlife. Many myths and legends of the Amazon steam from this mysterious area that still remains unspoiled. This is a wildlife-focused tour to this natural reserve that is the best choice for those who want to experience the jungle and observe its wildlife. Explore the Tamshiyacu Tahuayo Natural Reserve, one of the best spots in the Amazon rainforest to observe wildlife in its own habitat and nature. This tour takes you into virgin jungle far from Iquitos, Peru; that is the reason that this expedition guarantees wildlife observing in its natural habitat as river dolphins, monkeys, sloths, birds, alligators, and more. 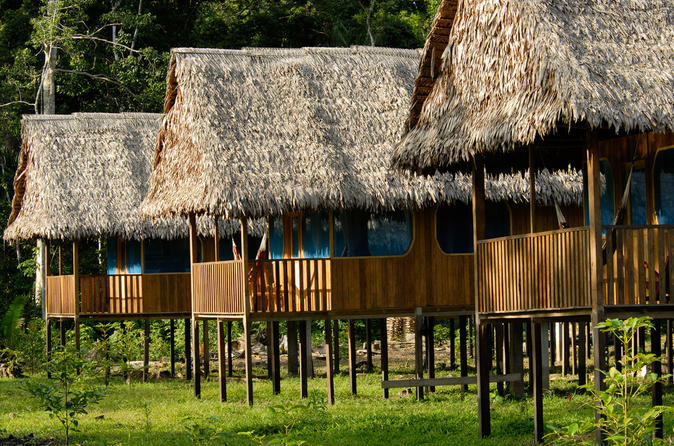 This all-inclusive tour combines nature and wildlife with a comfortable accommodation at Curassow Amazon Lodge. 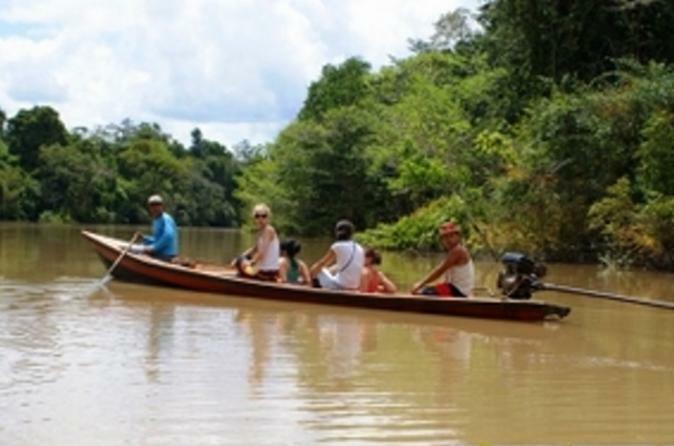 Depart from the port by fast boat for a 3-hour ride traversing the Amazon river to reach the jungle lodge. 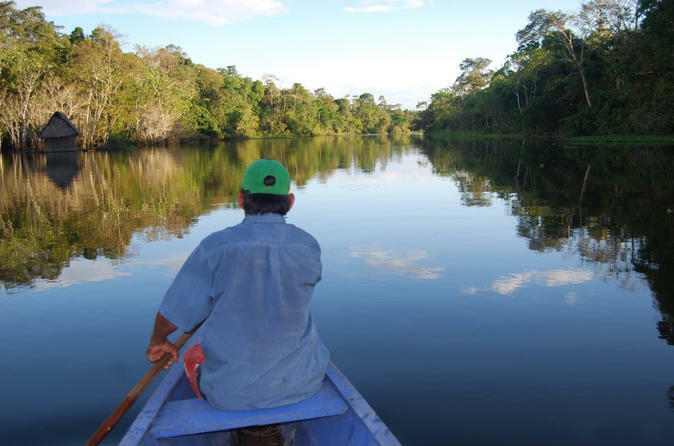 On this adventure you will visit lake Sapote, go on a boat safari to see caimans, catch fish, go on a night-walk to search for huge frogs and nocturnal jungle animals and take a 5-hour nature hike into the jungle to visit local villages and immerse yourself in nature, among many other activities!